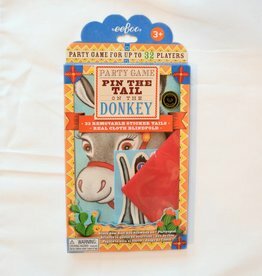 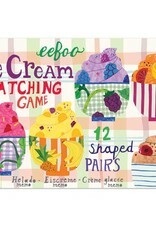 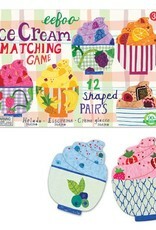 eeBoo’s Ice Cream Matching Game re-envisions the classic memory game with vintage-inspired illustrations by acclaimed artist, Monika Forsberg. 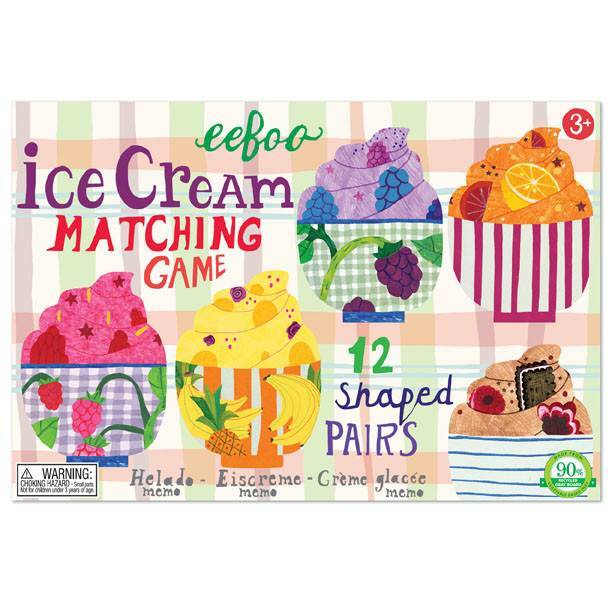 Played by placing each piece down and trying to locate its match, memory games fine-tune spatial awareness and memory skills. 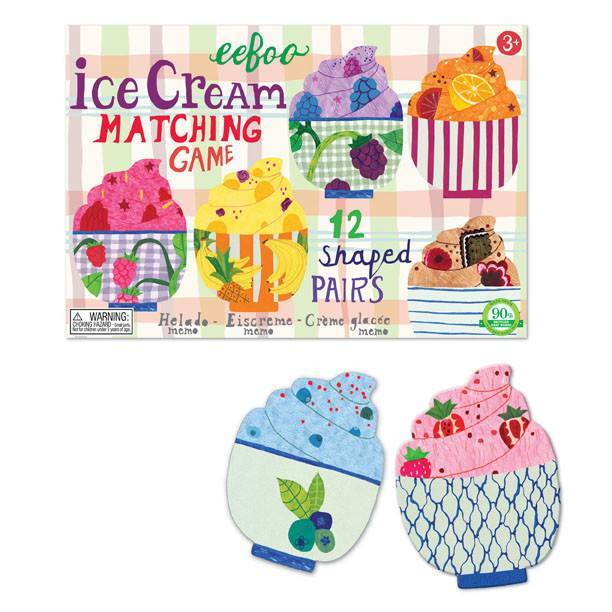 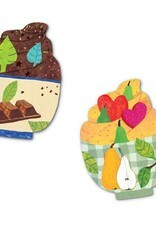 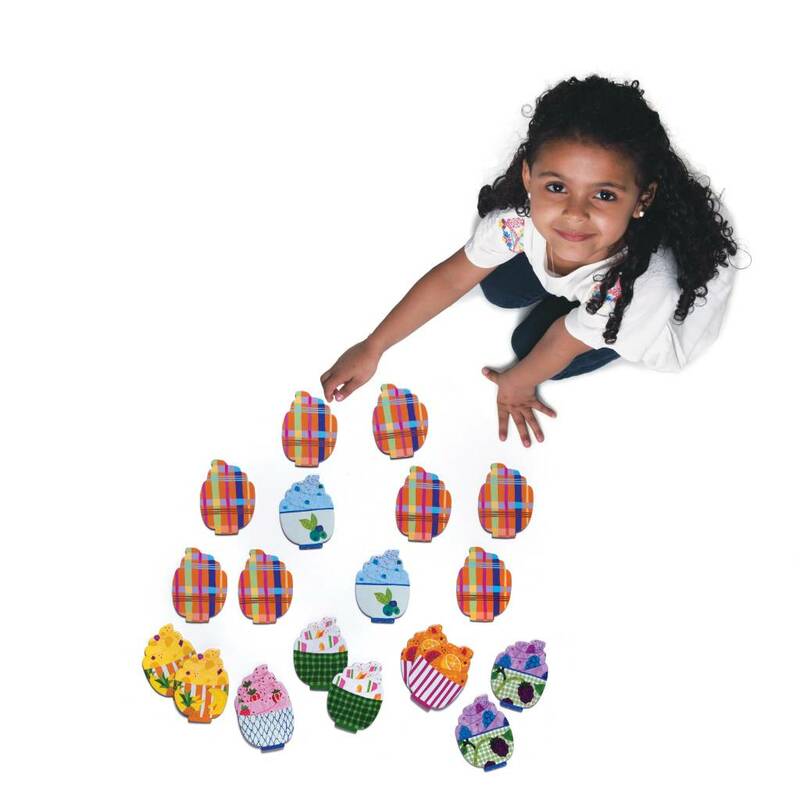 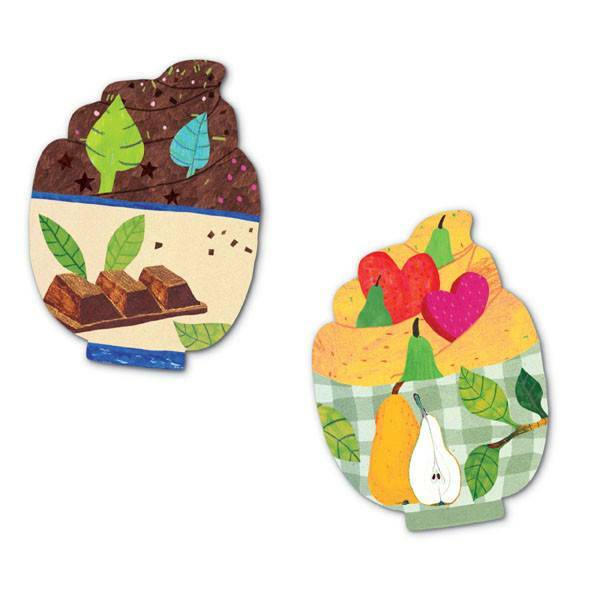 Each set includes 24 easy to grasp, jumbo sized playing pieces shaped like delectable ice cream bowls, making it a sweet treat for those with small hands and growing minds. 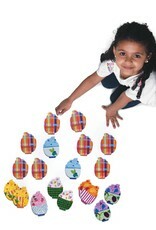 As an added bonus, eeBoo’s memory games are made from 90% recycled greyboard.